1. THE HUMANIST PARTY OF RUSSIA (HPR) is a political organization of people moved by the high ideal of human harmony. It is created for realization of joint activities directed towards affirmation of this ideal in mankind and its embodying: the strategic aim of the HPR is a humanist society. 2. THE HUMANIST SOCIETY is the coming type of social order on the Earth, the new organization of the planetary mankind. The fundamental attribute of such an organization will be natural submission of public production (in a broad sense) to the goal of ever-widening embodiment of the high ideal of human harmony in each person, full realization of HUMAN NATURE of everyone. The humanist society is the Future of all people of the Earth - it is unfeasible in a separate country or region of the planet. Members of the HPR consolidate their efforts for contribution to the humanist social reorganization in Russia and for active participation in similar international process. 3.OUR WORLD OUTLOOK IS HUMANISM. We proceed from understanding the dual character of the Human Nature: every human being becomes a Man by assimilating the culture of his society on the base of his biological nature. In accordance with this view a humanist is a person that realizes his (her) Human Nature, i.e. the person engaged consciously in self-cultivation and self-education. Such an engagement leads necessarily to perception of the unity of the Human Nature, unity of all living beings, of Life as a planetary-cosmic phenomenon, - finally, to perception of the World as the Whole. A humanist feels and realizes himself to be a part of NOOSPHERE, therefore he (she) takes an active life position devoting himself (herself) to the activities directed towards dissemination of the high ideal of human harmony, its affirmation in public consciousness and ever-growing personal embodiment. Thus the global crisis is evident, its roots are clear as well as clear is the inevitability of further enlargement and aggravation of crisis phenomena... However, from the humanist position the way out of the crisis is also evident, evident is the possibility of HUMANIST TRANSFORMATION of anthroposphere. What do we mean by this notion? - In fact, we speak about the possibility of transition to a new type of life the kernel of which will be humanist perception of the world. Society based upon such world perception we call a humanist one. Transition to it is the present epoch of increase of crisis phenomena. Some day the global crisis will touch seriously everyone on our planet and then those who have wits will understand the truth: Man exists on the Earth not for the unrestrained production of more and more sophisticated perverted needs and their satisfaction with commodities but for personal embodiment of our Human Nature here. Those who have already recognized it must now make it a matter of conscience to counteract further perversion and invaliding of mankind. We hope to make by united efforts THE SOCIAL SYSTEM OF PERSONALITY FORMING FREE FROM MERCENARINESS OF COMMODITY PRODUCTION. In this way the production and reproduction of perversions, of pseudoproblems may be stopped. If the production of consumer's perverted needs stops then the corresponding commodities will become valueless and useless... This is both the mechanism of the humanist transformation and our common task for a long future! 6. PECULARITIES OF THE GLOBAL CRISIS IN RUSSIA. The peculiarities of the global crisis on the territory of Russia are determined by long existence of the totalitarian party-bureaucratic regime and by full state control over public production. Direct consequences of this are: a threatening scale of military production; an extreme poverty of the market of individual consumer's commodities; alcoholism as a national disaster; the agricultural collapse; degradation of national cultures; a huge scale of the ecological crisis... The origin and existence of such a monster has been caused partly by the consumer interests of the military industry of the world community, partly by Russia's own history. At the present time the world community needs no more an armed bugbear in view of appearance of more "profitable" problems; as to people of Russia it has become obvious to them that the attempt to build communism in conditions of self-isolation was a gamble from the beginning... So now all are interested in the quickest return of Russia in the world community in common role of a usual commodity producer. The integrated mankind is a necessary precondition of the humanist transformation, therefore the HPR is an active supporter of any reforms in this direction. However, because of the specific character of the global crisis in Russia "perestroika" is threatened by a series of politically dangerous contingencies: the possibility of restoration of the totalitarian regime by hands of the military; further denationalization of Russian territories by new "democrats" and so aggravation of the ecological crisis and full destruction of the national economic infrastructure; growth of nationalism in national areas within the Russian Federation. - The HPR considers it a matter of conscience to counteract realization of any of these possibilities. The principle of humanist orientation means that any activity of our Party is directed towards dissemination of humanist ideology, consolidation of all humanist forces and is always directed against those who either impede or counteract it. The principle of social realism makes us adherents of democracy regarded as natural necessity of free will action of people; adherents of free-thinking i.e. pluralism of opinions; of system approach to estimation of any situation or phenomenon; of evolutional understanding of history in indissoluble connection of the past the present and the future. From the humanist point of view it is obvious that optimum development of any community and of human society as a whole is possible only when keeping to all these conditions. Futurism. - The HPR is turned towards the future of human history. The humanist transformation of the present culture will inevitably depreciate much of what is valuable for our contemporaries. As for us we proceed from the conception that in conditions of the global crisis, already now, the very future becomes the top-priority value: it may just not come into existence! At the same time the humanistic futurism does not in any way contradict the evolutional understanding of history, supposing the succession of humanist culture in its fullness and diversity. - the Party building - the over-all assistance to Party members in their spiritual growth. Each general direction of the HPR activities comprises some particular ones. Each particular direction of the HPR activities implies its own principles and mechanisms of realization and also special organizational possibilities in form of divisions of the HPR according to its Charter. 1. THE ACTIVITIES AIMED AT THE MINIMIZATION OF THE GLOBAL CRISIS PHENOMENA, THEIR SMOOTHING. 1.1. An over-all observation of the condition of man, culture, society and environment in regions of party activity with the purpose of the quickest revealing of either exacerbation of crisis phenomena or emergence of new ones. 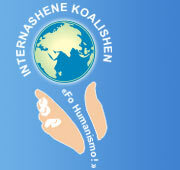 Collaboration with the organizations exercising such observation in other regions of Russia and in other countries. Activities directed towards organization of planetary monitoring over the condition of Earth and mankind. The necessity of an efficient control over the situation, over emergence and development of crisis phenomena is quite obvious, for this is a necessary precondition of adequate and timely actions aimed at their smoothing. The division of the HPR exercising this function should not substitute other organizations and divisions of the HPR whose direct aim is smoothing of crisis phenomena: this division is meant to reveal an exacerbation of crisis and to mobilize social mechanisms destined to counteract it. Organization of this division of the HPR supposes gathering information and creating social mechanisms of quick mobilization for elimination of most exacerbated crisis situations. 1.2. Keeping control with the constitutional means over the war industry development in accordance with that of the world community. Organization of antimilitary actions in Russia and participation in similar international ones. Struggle for disarmament. A wide propagation of the pacifist ideas. 1.3. Providing dynamic control over conditions of the environment and over observing the ecologic laws. Calling forth public and state measures directed towards elimination of ecological calamities. Inculcation of the ecological ideas in public consciousness. Co-operation with ecological groups, taking joint actions. 1.4. The medico-biological control over condition of man, of main social groups; over condition of the public health system and its tendencies. Organization of public and state measures directed towards removal of pathogenic phenomena from the public health sphere. The corresponding division of the HPR unites efforts of both specialists and consumers of medical services. 1.5. Culturological and cultural activities directed against most destructive perversions in all spheres of the mental production (i.e. production of culture), and especially in the sphere of education. The obvious necessity of diversified efforts in this field supposes the possibility of organization of a series of separate divisions according to the Charter of the HPR. Struggle with destructive perversions of culture includes both their unmasking and formation of a humanistic alternative, so such activities bear direct relation to building the base of the humanist society too. 1.6. The social monitoring: timely revealing new crisis phenomena and exacerbations of those present in society and its separate strata; organization of public efforts for their elimination or smoothing. Nowadays stressed is the problem of social and economic security of pensioners, elderly people, partially and completely disabled persons and invalids. From the humanist position it is manifest that the society is able and obliged to provide for these strata of population, therefore the HPR calls forth the public movement for raising pensions according to the staple commodities' prices up to the level of comfortable, human life. 1.7. Struggle with most destructive perversions in the system of the commodity production. Organization of public control over quality of goods and services, over innovations in all fields of commodity production... Today the consumers' demand is everywhere formed for NEW goods and services. In this situation new goods and services often do not pass appropriate approbation and so are sometimes dangerous. Advertising such goods and services means forming perversions... Nowadays in Russia the control over marketing, innovations and quality of produced commodities is exercised by state services. Their function is highly insufficient, so sometimes there are not only just inferior but also poisonous and radioactive products on the market... The public control is necessary and advisable over the quality of both usual commodities and new ones, with independent expert opinions, and over the advance marketing too. Realizing this direction of its activities the HPR puts forward the initiative of foundation of public consumer societies, co-operates with existing societies of the kind and with the controlling state services. 1.8. The antimonopoly activities in all spheres of the society's structure. In the sphere of political system: counteraction to all forms of totalitarism, nationalism and denationalization. Support of people movements for the rights of nations and peoples to free self-determination. The globalization of crisis phenomena, their exacerbation is due not so much to the consumer culture or commodity production in themselves as to the monopoly in all of its kinds: political, cultural, technological, commercial, ethnic etc. From our point of view totalitarism, nationalism and denationalization are all one - the different kinds of monopoly, which cause through the medium of the political system of society a quick manifestation of the global crisis there where they take place. E.g. the consequences of denationalization are clearly displayed by the ecological crisis in various regions of the USSR. - The inculcation of so-called "international" soviet culture led to the degradation of local national cultures. But only local cultures contain the experience of interrelations of a people with its ecosystem. So the loss of the local experiences has naturally turned into the ecological crisis on a vast space. 2. CREATION OF NECESSARY PREREQUISITES FOR THE RADICAL OVERCOMING OF THE GLOBAL CRISIS, FOR THE HUMANIST TRANSFORMATION OF THE WORLD. At the present time the organization of planetary mankind as well as the social order in Russia display lack of necessary prerequisites for both humanist transformation of the world society as a whole and humanist reorganization of the Russian one. - The activities of the HPR providing such prerequisites suppose both removal of obstacles and establishment of positive preconditions. 2.1.The crisis of the consumer civilization is global, so only the mankind as a whole will be able to overcome it. The humanist society is unfeasible in a separate country or region of the planet. The integration of mankind is a necessary precondition of the humanist transformation, therefore THE HPR IS WILLING TO PROVIDE ALL KINDS OF CONTRIBUTION TO THE INTEGRATIVE PROCESSES, TO SETTING CLOSE INTERNATIONAL CONTACTS. This direction supposes first and foremost active co-operation with all kindred organizations both in Russia and abroad. 2.2. Political struggle for power by the constitutional means, all possible promotion of jural society. We see an organizational possibility of coming out of the global crisis, a possibility of the humanist transformation in appropriate reorganization of the system of legal self-regulation of mankind as a whole. But in order even to speak of such a reorganization, first the very mechanisms of legal self-regulation should appear everywhere while today in many countries including Russia they are lacking. Therefore the activity of the HPR as a whole and that of its divisions dealing with general political questions is directed towards establishment of jural society in Russia and active participation in the political system of society. 2.3. Foundation and development of the mass media independent of commodity production. Struggle for the liberation of the mental production (i.e. culture) from the dictates of the material one; organization of public control over interactions and interrelations of these subsystems of social production with the purpose of excluding new perversions and gradual getting rid of the existing ones. In fact nowadays the production of pathogenic commodities is preceded by inculcation of the corresponding consumer ideals, needs, i.e. by corruption of the total consumer. Such corruption is carried out by the system of mental production through the mass media, "cultural" organizations etc. Today the full dependence of this means of influencing consumer interests upon commodity producers can be stated. One may try to break the close alliance of "culture" and commodity production, and this is one of the HPR tasks. But besides that the true humanist alternative to all this "business" should be created without delay, and this is another task. Both tasks are complementary and may so find realization in one division of the HPR. 2.4. Instillng into the public consciousness the idea of necessity of the constitutional differentiation of the educational system into an autonomous social institute which would be able to provide the gradual isolation of rising generations from the consumer civilization's depraved productions and cultural perversions. At the present time the reproduction of man is everywhere realized by the forming influence of all social elements (family, school, the media, market of commodities, publicity, audio-videosystems etc.) i.e. there exists direct inheritance of the condition of the contemporary society. In this situation the determinant of the formation of personality, its needs and interests is the most broadly presented information. Such is the influence of the media, for the time being wholly dependent upon commodity production. The humanist transformation supposes, together with other ways, a conscious social refusal from direct translation of the crisis culture onward to the coming generations; differentiation of the educational system into an autonomous "branch" of public production with its exclusion from the commodity production system. BUT SO FAR MAN IS ALSO PRODUCED AS A COMMODITY! - NOT PERSONALITY, BUT COMMODITY! 3. ACTIVITIES AIMED DIRECTLY AT BUILDING THE BASE OF THE HUMANIST SOCIETY. 3.1. Elaboration and inculcation into the public consciousness of the principles of humanist reorganization of basic social institutes, of the very society. Implementation of these principles by the parliamentary way. This task is fundamental for the section of the HPR dealing with general political questions; it supposes active co-operation of all divisions of the Party. 3.2. Foundation of new social institutes - those of the humanistic culture, its development and inheritance. Close co-operation with traditional spiritual teachings in the cause of humanist reorganization of the world. The real way out of the global crisis for humankind lies in ever-broadening conversion of people to spiritual practice, to spiritual teachings. Spiritual teachings become now means of the humanist transformation, but under market conditions they also turn into a commodity loosing by that their humanistic, spiritual, "healing" essence. In addition to that, the market keenly reacts to the increasing interest of people to spiritual practice, therefore there is the invasion of "false prophets", abundance of their writings, embittering of competition on the market of spirituality... In this situation all to whom the fair ideals of Humanism and spirituality are dear should find organizational forms of uniting their efforts irrespective of their spiritual affiliation. The HPR puts forward the initiative of foundation of a wide international coalition - "FOR HUMANISM!"... The support of humanist movements; counteraction to perversions of spiritual traditions and to pseudo-humanist, pseudo-spiritual market substitutes, unmasking of their pernicious essence; the foundation of the Coalition "FOR HUMANISM!" - these are tasks of a special division of the HPR and also of all its sections. 3.3. Foundation of the centers of new humanistic culture in form of spiritual, cultural and economic communities and settlements. Denying a possibility of building the humanist society anywhere in isolation from the rest of the world, at the same time we believe the foundation of humanist isolations, each of which could unite followers of a certain spiritual trend, to be one of the bases of the humanist transformation: such communities do not break with mankind - they just go beyond the bounds of the predominant consumer culture just as at all times spirituality has been preserved and augmented in cloisters. Here in contrast to the cloisters the developing communities on the base of a new culture are meant. 3.4. The widest propagation of Humanism, formation of humanistic common to all mankind alternative to the pernicious consumer culture and embodying this alternative with the help of the media independent from commodity production. This is the cause of the whole HPR, the cause of the Coalition "FOR HUMANISM!" 4. THE PARTY BUILDING - THE OVER-ALL ASSISTANCE TO PARTY MEMBERS IN THEIR SPIRITUAL GROWTH. For carrying out its tasks the HPR should be a purpose-submitted organization of humanists. The purposefulness, the purpose-submission supposes the possibility of any reorganization; while one is not born a humanist. To exclude dogmatism and organizational "ossification" the HPR provides for current discussion in the pages of party periodicals. Rendering to its members assistance in their spiritual growth the HPR provides necessary conditions for the spiritual practice. THE HUMANIST PARTY OF RUSSIA MAY AND MUST BECOME THE COMMON INSTRUMENT OF POLITICAL WILL OF ALL WHO ARE READY TO ACT FOR THE SAKE OF THE HUMANISTIC FUTURE! * The Humanist Party of Russia (HPR) is one of the founders of the International Coalition "For Humanism!". The HPR was founded in 1990. In 1999 a bureaucratic law hindering political parties' formation and existence has been passed in Russia, and today formal existence of the HPR is questioned. The Programme below is accepted at the 1 Congress of the HPR 23 December 1990 in St.Petersburg.